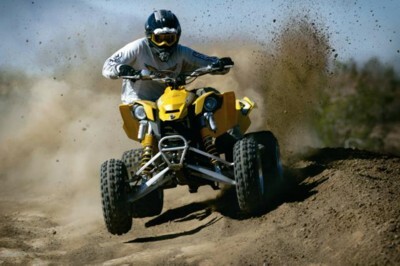 The Can-Am DS 450 ATV is the new benchmark for performance, handling and control - on track and off - thanks to the most power in the ATV class, lowest weight, most centralized mass, lowest unsprung weight, and fully-adjustable sport-tuned suspension. 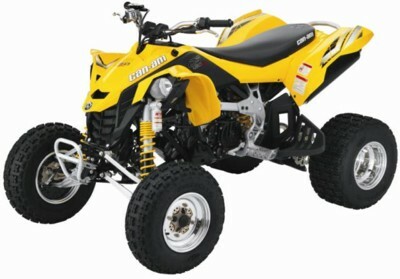 Extra features like racing kick-up footpegs, detachable headlights, interchangeable fenders. 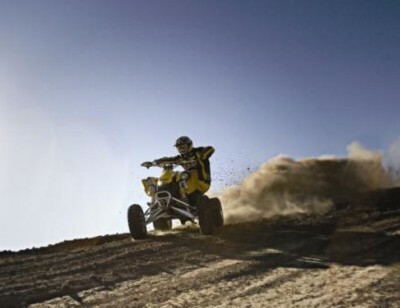 For More info go to http://www.brp.com/en-US/ or contact your local Can-Am Dealer.